Ties that bind Omotola Jalade, Kimberly Elise and Ama K.
Omotola Jalade Ekeinde is back again! Her latest work is the most awaited African movie "Ties that bind" - a compelling drama directed by Bafta award winning director Leila djansi. Acting alongside Omotola is four time NAACP image award winner, Hollywood's Kimberly Elise and Amaa New Best actress AMA k aberese. The stars who will be playing Theresa(Kimberly ellise), adobea (omotola j Ekeinde), bukin(AMA k) are three women from different walks of life bound together by a similar pain; the loss of a child. In a destined meeting in a small village in Kroboland, the women journey together to redemption, love, life and forgiveness as they renovate a dilapidated clinic for the villagers. 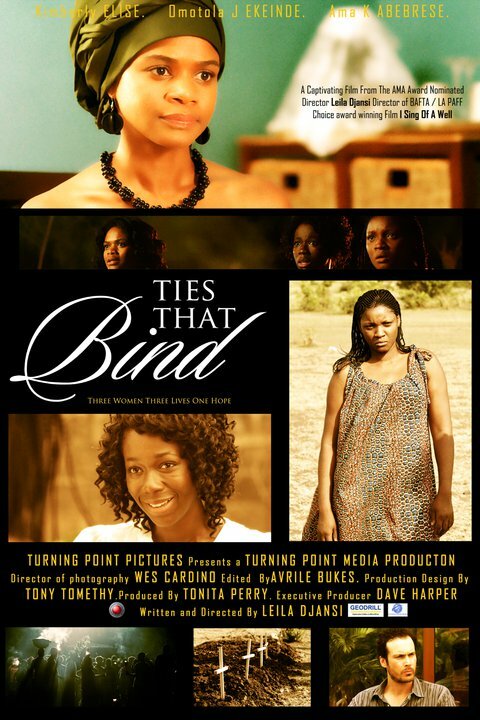 Check out pictures of Omotola Jalade, Kimberly Elise, and Ama K on the set of Ties that Bind. Looks very interesting any word on when we can expect this? I asked Omotola for the release date; she said she's unsure, but will let us know as soon as something comes up.